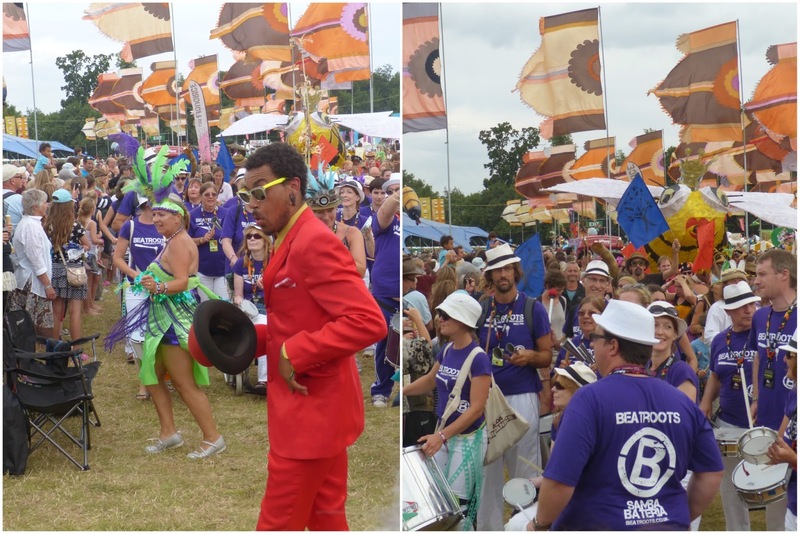 I can't believe it, WOMAD has come to an end already and what a Big Bang ending! We had such a great time on day two that we came into day three buzzing. The line up looked like we would be spending most of our time on the main stages [Open Air & Siam Tent] which was ideal as we wanted to do a little bit of shopping and I wanted to win with food on the final day. That we did, and the music was just as fantastic as the previous two days - no clear favourites as they all genuinely made my WOMAD this year. 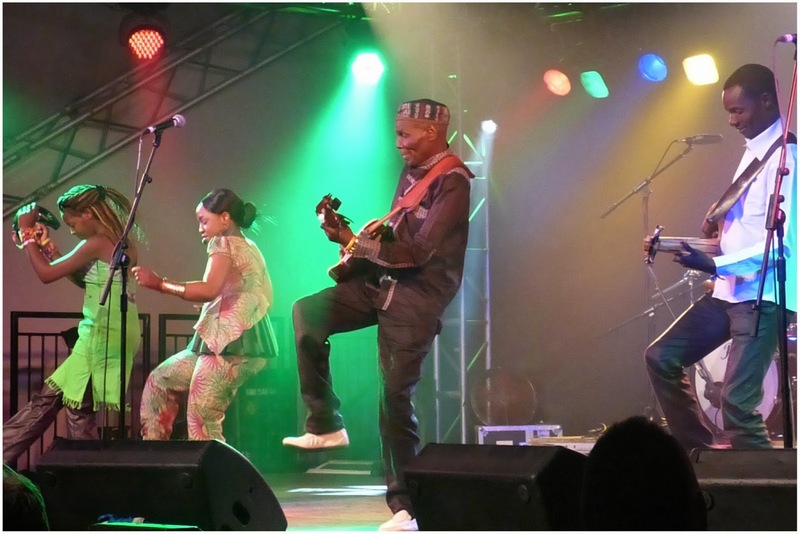 I was particularly moved by Les Ambassadeurs, the kings of West African music, reunited and incredible as ever, playing the final day of WOMAD out as the sun was setting in the background. Seriously good vibes today, with the whole weekend comfortably being in my Top Three of all WOMADs I've been to. 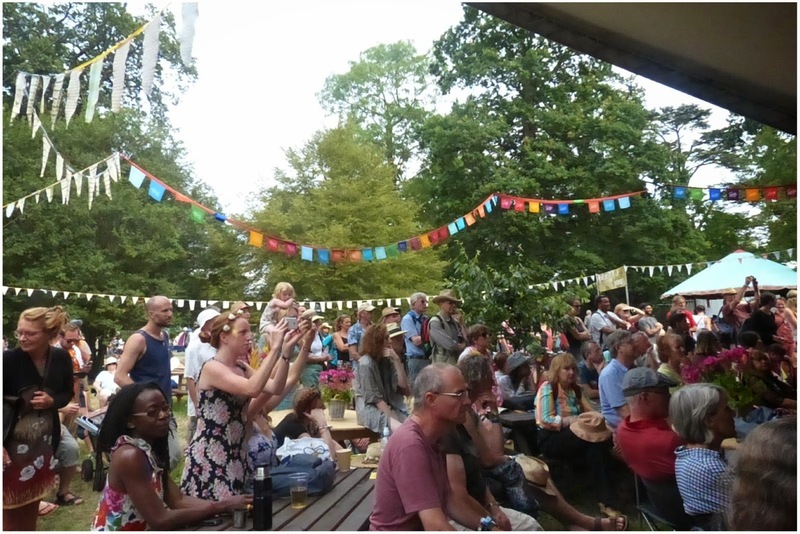 Until next year, massive thank you's to WOMAD & fRoots mag for a super epic weekend of music, food and sunshine. breakfast || It was so good on Saturday that we decided on the same combo of Happy Crepes [I had pears, roasted almonds & honey and Ellie had spinach, cheese & mushrooms] and vanilla iced lattes from The Love Coffee Cafe for brunch. Fruit and pancakes are such a winning combination my morning started off nicely with a happy belly. 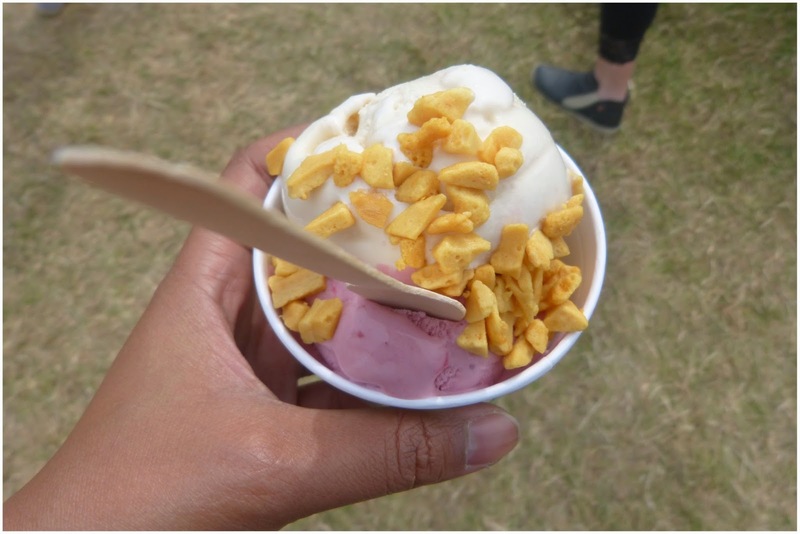 lunch || Mid-shopping and browsing, Ellie and I craved a snack so went over to the Shepherds ice cream stall [for the second time over the weekend] - I had ginger & tayberry ice cream with honeycomb and Ellie had ginger ice cream in a cone. About an hour later, it was clearly not enough for my belly because I then started craving savoury. One of the jewellery stall owners recommended Moorish, a Moroccan stall nearby [which I'd already heard some good feedback about], so off I went to join a long queue [clearly very popular!]. I ended up choosing a spicy lamb bourek consisting of spicy lamb merguez, feta cheese and spices in a filo pastry case which came with salad, stuffed vine leaf and vegetable sauce. I also bought a refreshing hibiscus drink to compliment the spice. Sooo delicious, super nom! learning || Mid-afternoon, I decided to head over to the Taste the World area for the first time ever. 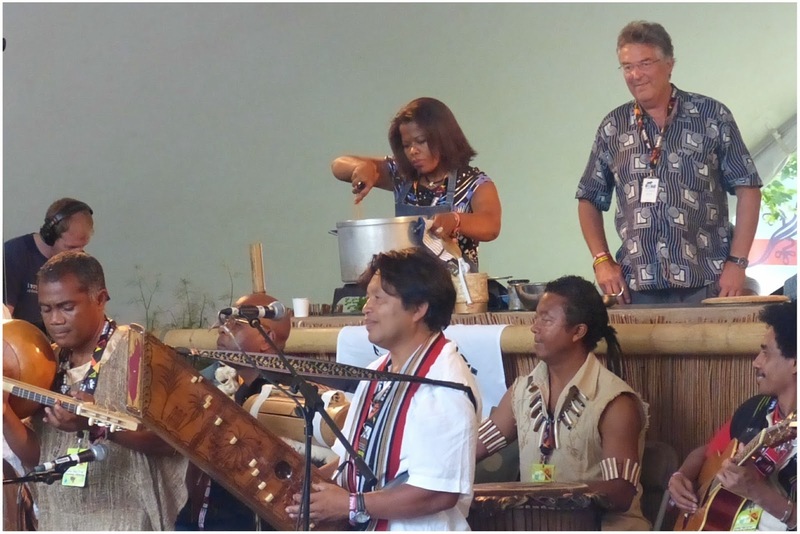 I'd heard that Justin Vali & Ny Malagasy Orkestra were going to play a few more tunes which some Malagasy food was being cooked up for curious festivalers. It's a lovely concept where bands can bring a cook who knows about their local cuisine and creates it live in front of an audience. The band are then there to entertain while the food [in this case Romazava] is cooking. 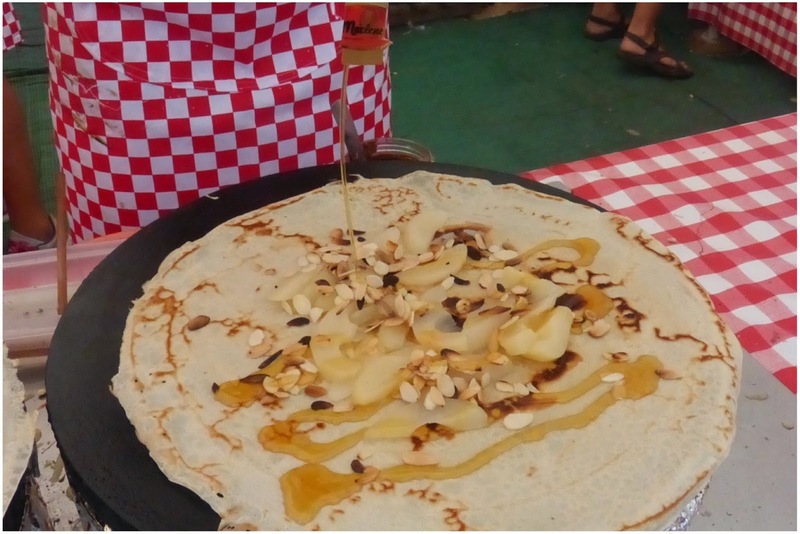 Great idea which I'll make sure I keep an eye on for future WOMADs - a good opportunity to learn some cooking tips from around the world. dinner || after seeing Les Ambassadeurs, we were keen to use our one hour gap for some late dinner. I rushed over to my favourite Jamaican stall The Shack to find that they had run out of jerk chicken! I was so sad that I had to go to a competitor stall but there you go - when it's good, everyone knows it's good. 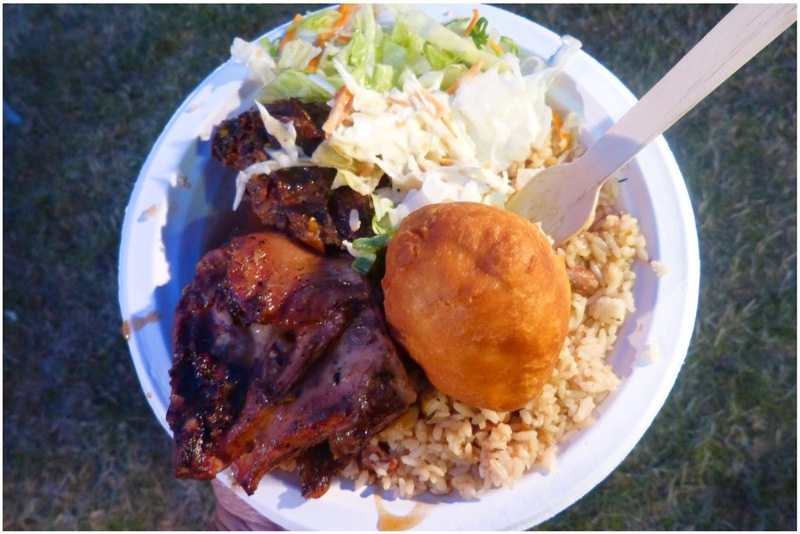 I ended up buying jerk chicken with all the sides from Hot Flavours. 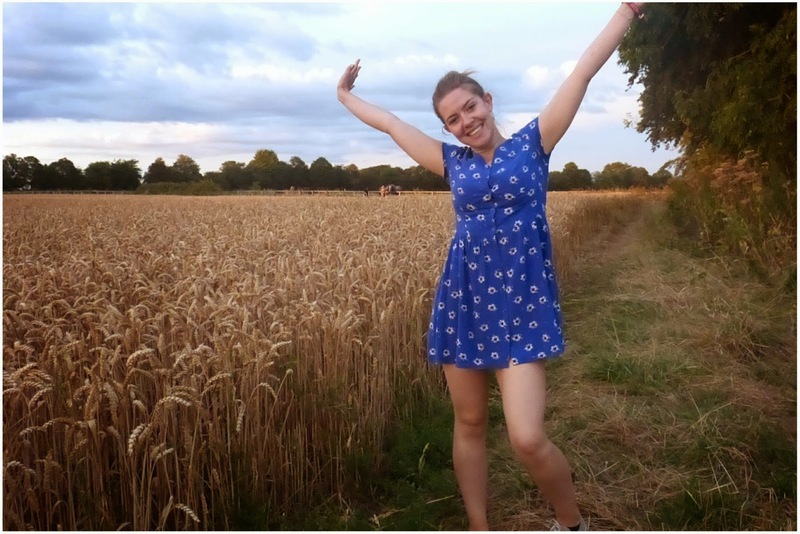 Ellie went for a falafel meze from Greek Expectations which she said was delicious and the proper stuff from North London. Then as an after dinner tradition, we bought some fresh hot doughnuts from the Real Coffee stall for the drive home - though they were so good they were eaten way before we got to the car to leave. 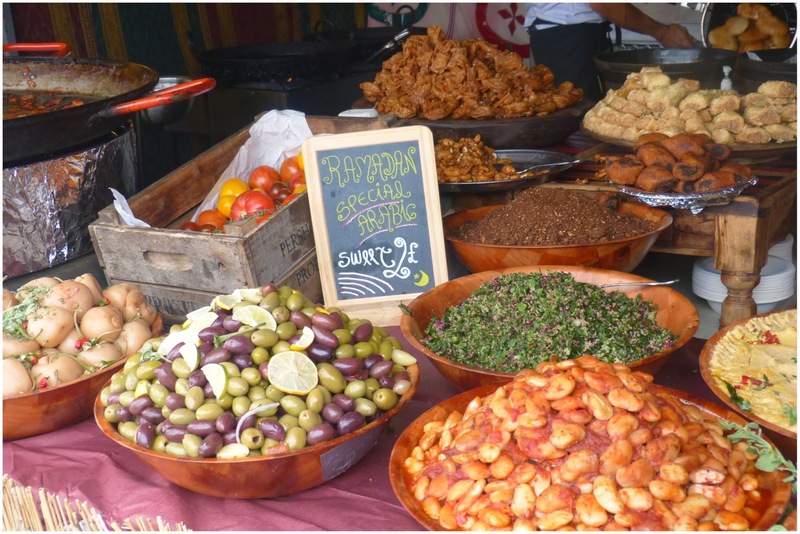 If there's one thing you have to do at WOMAD [aside from the music and the food] - it is the shopping. Even if you are not a shopper type person, trust me - this festival is like a treasure trove of goods from around the globe. There are really unique pieces whether it's clothing or home ware or furniture. You name it, it's probably there and probably beautiful. In my younger years, I used to buy absolutely everything shiny I could find. 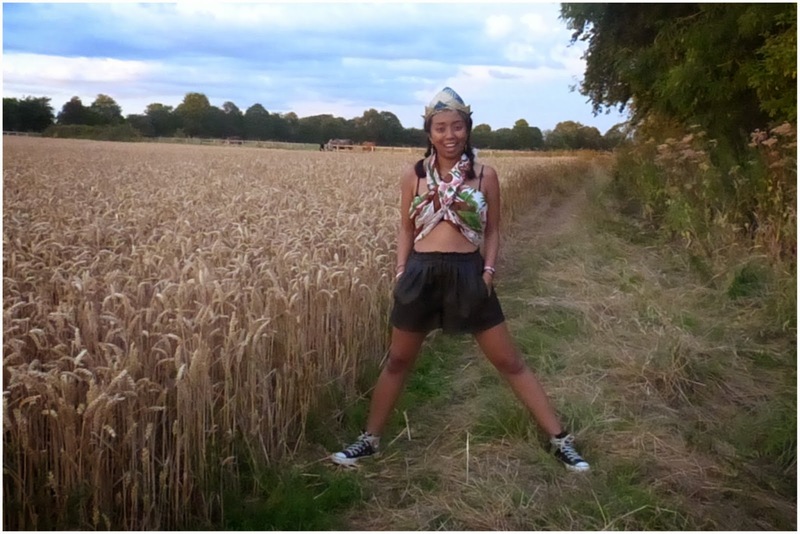 These days, I am much more considered with my purchases - my go-to's are African print clothing [Loud As You Like is my favourite stall] and African or Silver Jewellery [Saharan Arts & Joam Jewellery are pretty good bets]. A post shall come shortly so you can see what I got my paws on. 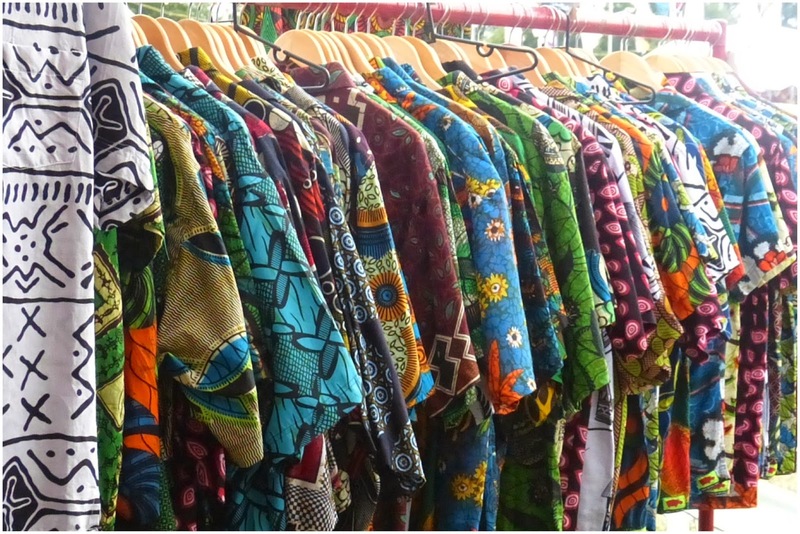 The variety also means that the stalls are great for browsing even if you're not buying. 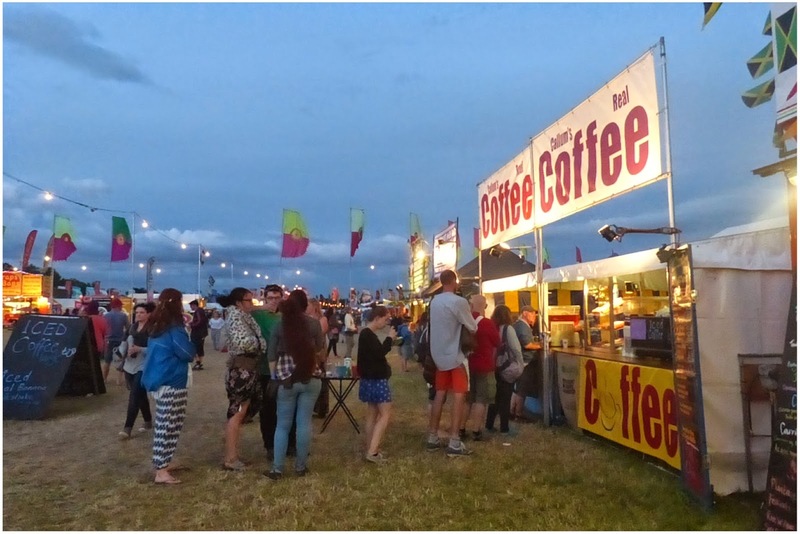 Really colourful and lots of items you may not see at other festivals or just in general shops. This also makes it a great place for buying unique presents for family and friends. African print shirts are so fun to wear. 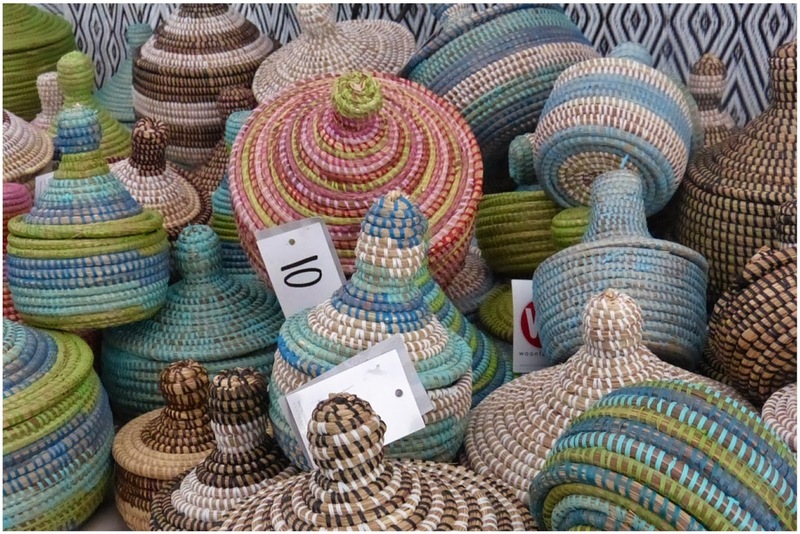 Baskets from Ghana, from small to big can be used for jewellery holders to laundry baskets - and all made by hand. 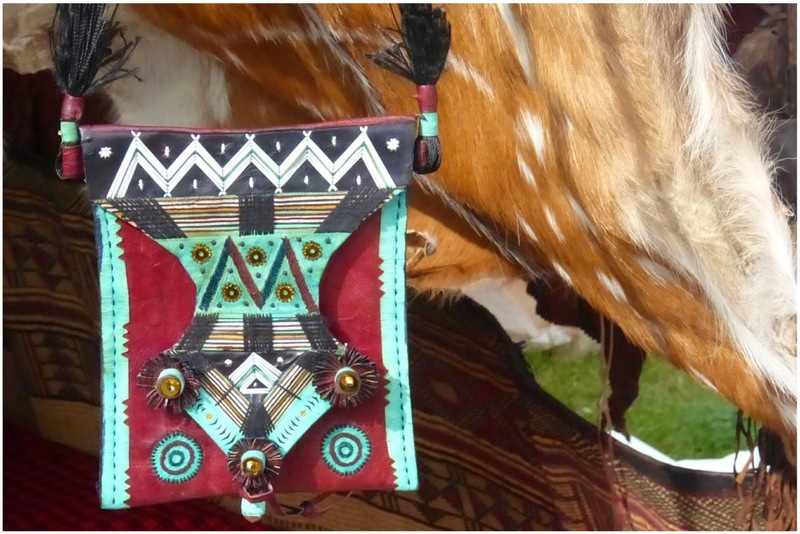 A nomadic purse from Mali - this particular one was £100 [steep, I know] and intricately made. 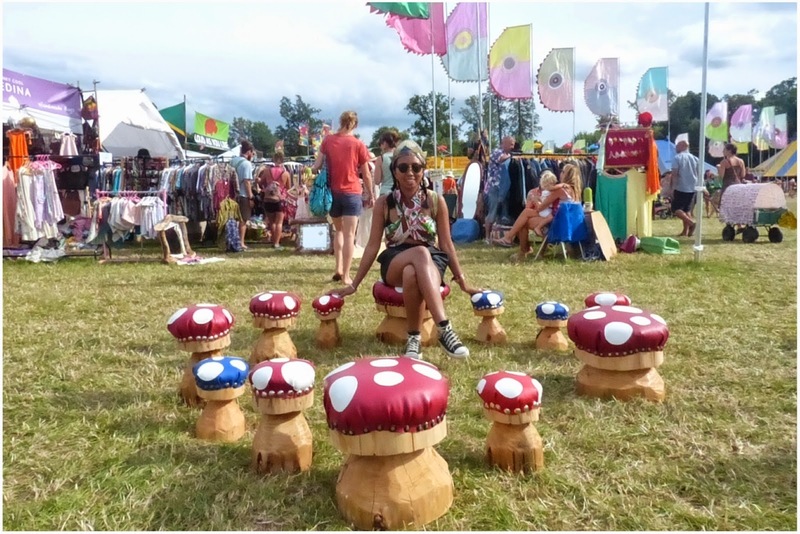 Talking of something different, I absolutely loved these mushroom garden chairs. As soon as I sat down, they were so comfortable that I didn't want to move. If I ever have a garden one day, this may have to be one of my future WOMAD purchases! 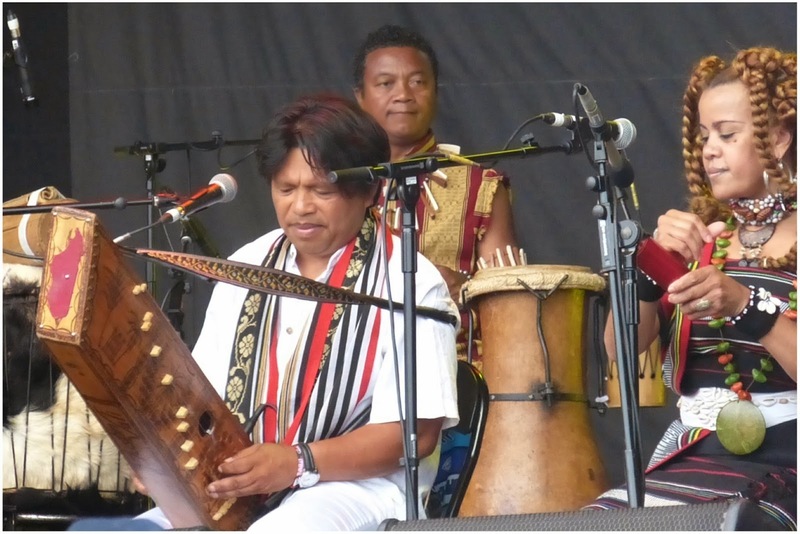 "The world's premier valiha player"
Cathia: I might be a little biased but yeeey Malagasy classics - a bit of hiragasy, a bit of salegy, a bit of all the goodness to get me dancing away to home tunes. Justin is great to watch, he is super speedy on that valiha! 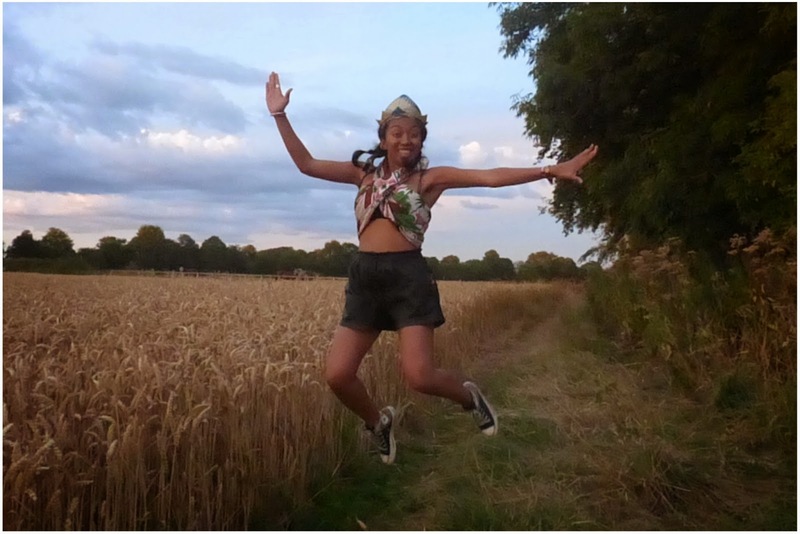 Ellie: This was a brilliant set to start our day to, the sun was out and I had a very happy Cathia next to me. 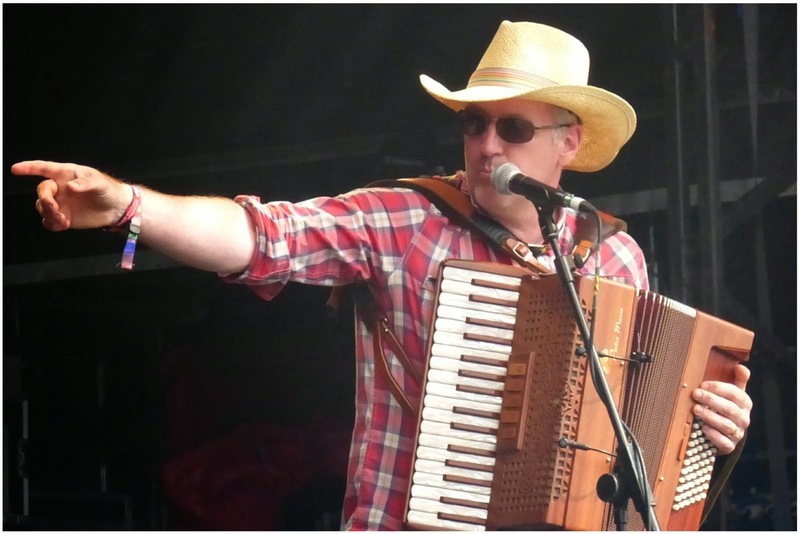 I particularly enjoyed them bringing out all the unusual instruments and giving them a whirl. Ellie: While Cathia was chilling backstage, I caught some of this brilliant group's set. It was totally unexpected and song to song you got something totally different. Cathia: Absolutely gutted I missed seeing this. Could hear them in the background but it resoundingly got excellent feedback - was apparently really moving to watch. "Boisterous stomp music from Orkney"
Cathia: I found Ellie bopping away to The Chair after catching up with my peoples. 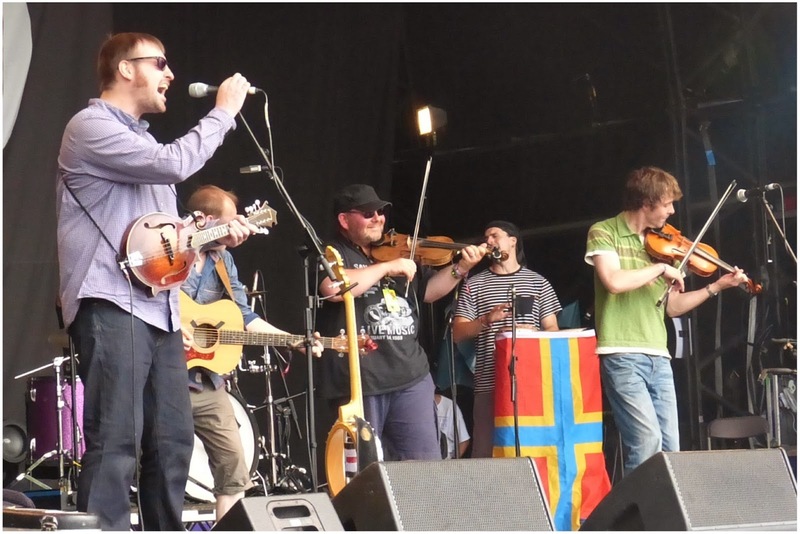 Not my favourite style of music but pretty impressive fiddle-playing and lots of energy. The crowd clearly loved them and so did all the stuffed animals bopping about [a penguin, a meerkat and a dragon]. Ellie: The Chair found themselves unexpectedly on the main stage and at first seemed a little awe struck to be there. That said, I think they hit the ground running and produced a fun set mixing more familiar Scottish folk music recognisable to me with other flavours. I had a good bop! 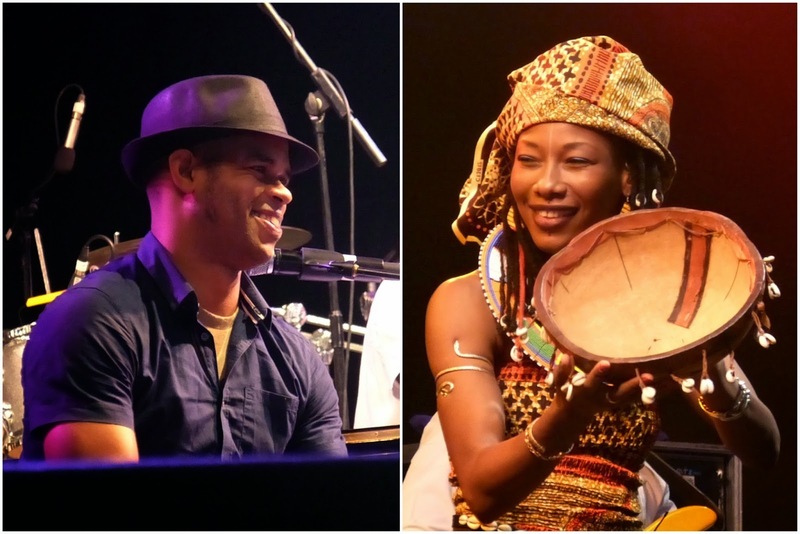 Cathia: Another powerful duo of the weekend - smooth Cuban grooves married perfectly with the warm and punchy rhythms of Mali. These two clearly appreciate and use each other's musical strengths to the max. Absolutely loved it and was sad to leave before the end [I wanted to get a good spot for Les Ambassadeurs!]. 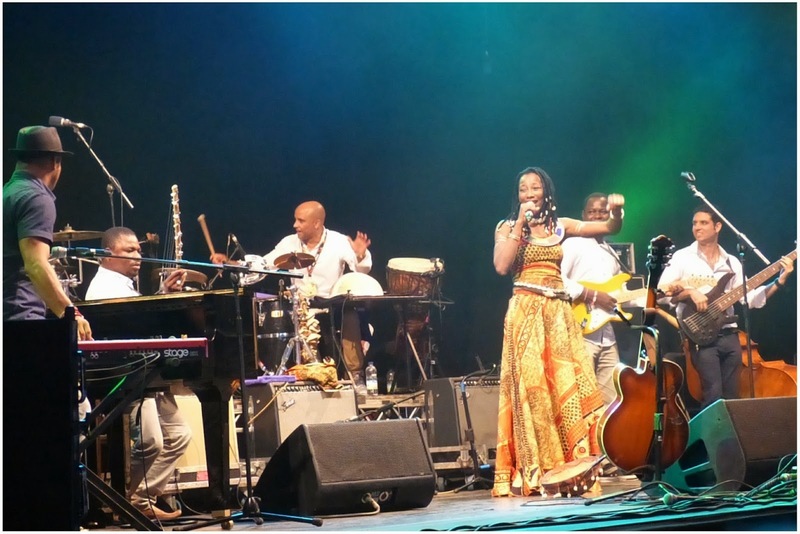 Plus, Fatoumata looked like a proper, radiant African princess on stage! 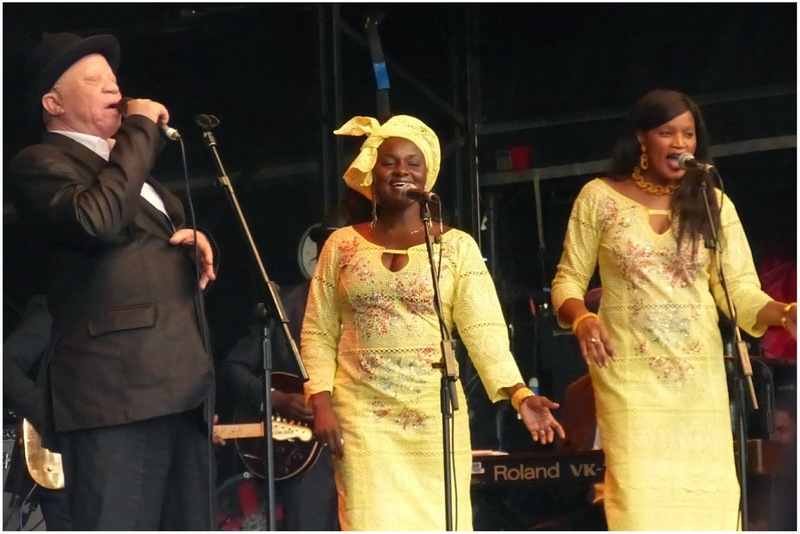 Ellie: It's not that the music wasn't spectacular - it truly was - but what really struck me was Fatoumata's presence on stage and the personality that effervesced from her start to finish. I found her totally captivating and it would have been easy for Roberto to be overshadowed - his pure talented stopped that from happening. One of my favourites of the day. 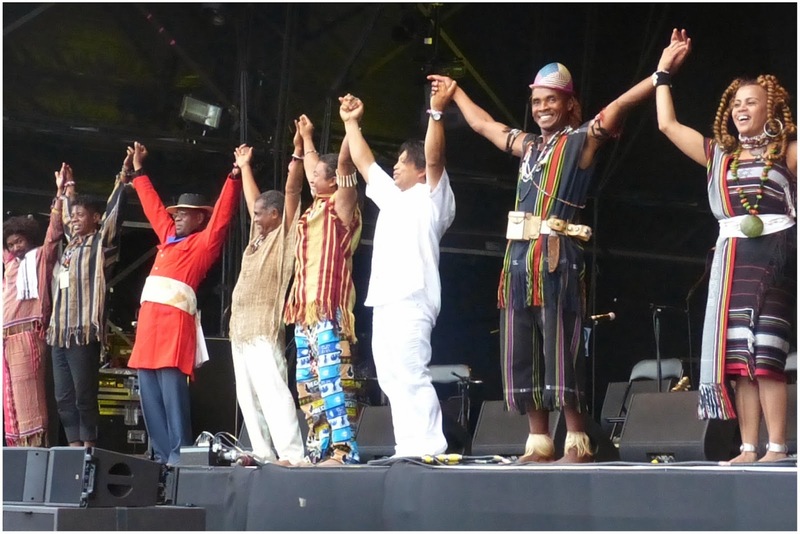 "Recharged West African kings return to the thrown"
Cathia: What a set. 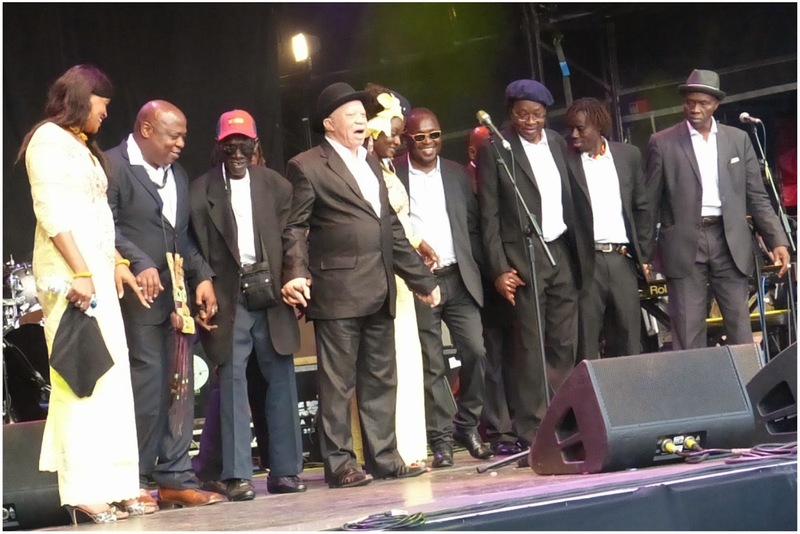 All the legends, on stage, doing their thing, making the audience and especially me a very happy person. I'll say it once and I'll say it again - Les Ambassadeurs were truly the icing on a weekend of absolutely great music. 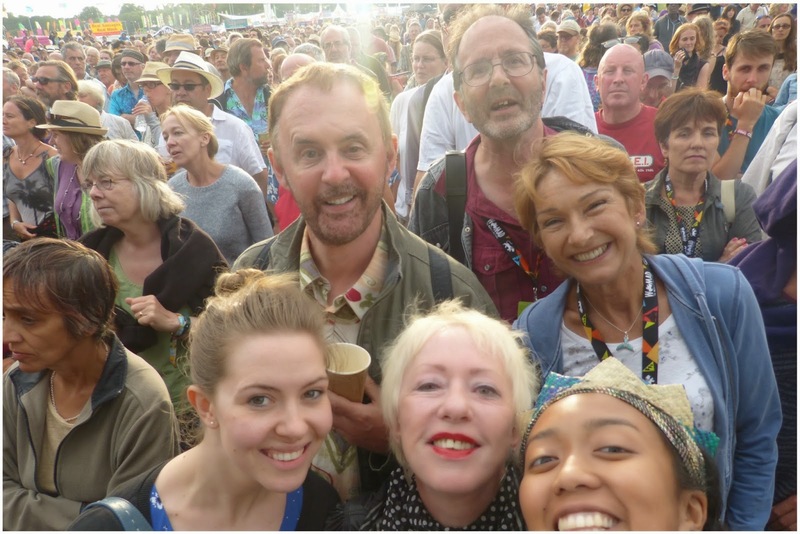 The super talented team were clearly enjoying themselves too [some amazing solos from all] and as the sun was setting around us, I couldn't help but feel so honoured to have had the experience to see the kings of West African music play again. Ellie: Even before they started there was something prickling its way through the crowd amping up the excitement levels for this set. Les Ambassadeurs delivered a really fun set that had everyone on their feet. Salif's dancing was definitely a highlight as well as some really brilliant solos from the team. 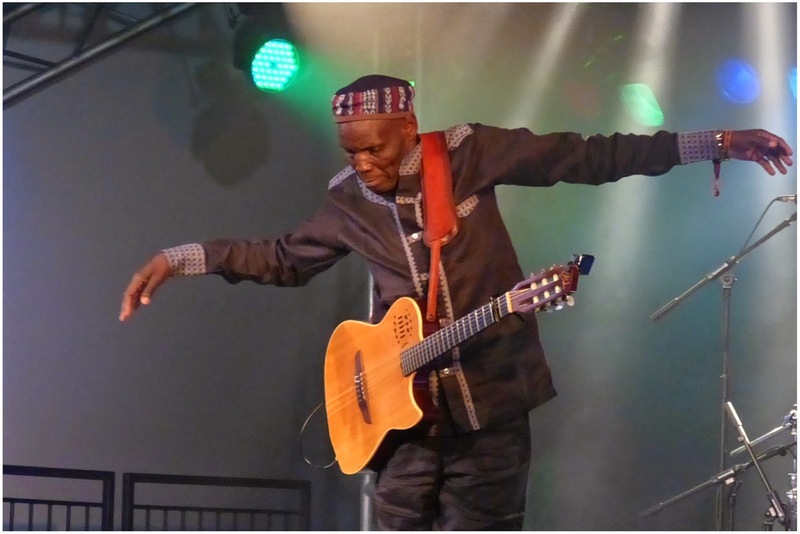 "Return of the Zimbabwean legend"
Cathia: The night was chilly, my energy levels were running thin - and then as I stood at the front of the Charlie Gillett stage, I knew my wait had been well rewarded as Oliver Mtukudzi took to the stage. Cool as a cucumber and groovy as ever, his band was tight, the coordinated dance moves were on point and it was just a swell way to end an amazing weekend of WOMAD. 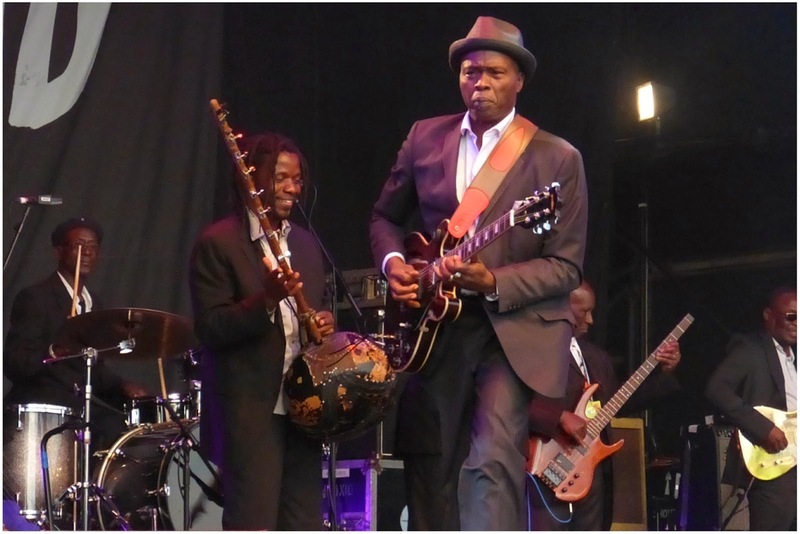 Ellie: Oliver Mtukudzi & the Black Spirits were truly worth the wait. Arriving on stage at 11pm, we had waited around especially to see them and I'm so glad that we did [Cathia: Me too!]. Oliver's guitar skills and dancing feet put a smile firmly on my face. There is something so accessible about his sound, I defy anyone not to enjoy it. Totally brilliant and totally WOMAD. 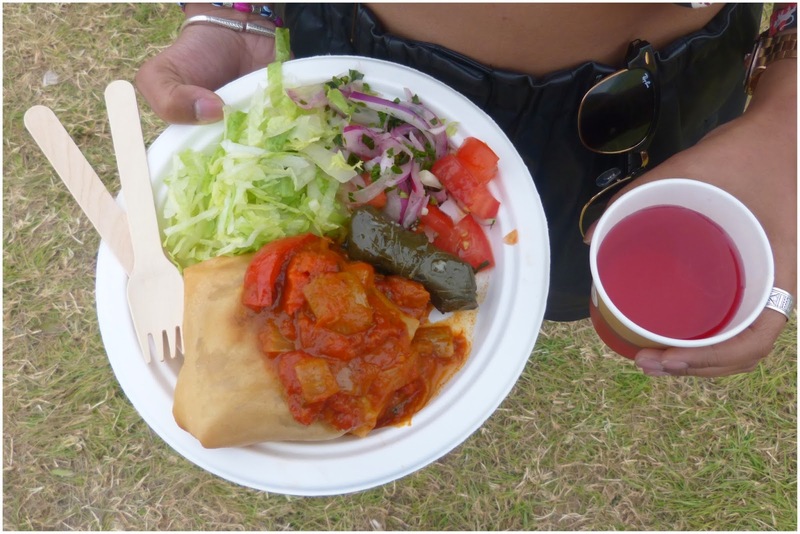 Were you at WOMAD over the weekend? Link me up if yes, would love to see what you got up to!